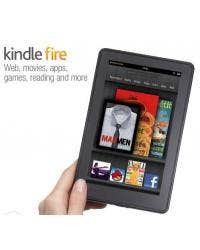 We Are Giving Away a NEW Kindle Fire! We REALLY appreciate our Facebook Fans so we decided to give away a FREE Kindle Fire! Oh yes…..the NEW Kindle Fire!! We are so excited! All you have to do is “like” us on Facebook to enter! Drawing is November 18th – so you could have your new Kindle in time for Christmas! Hurry on over to our Facebook Page...”like” us and you will be entered! Of course – if you already like us….you are in the drawing too!